The processes of making cotton, wool, silk, polyester, nylon, fleece, and rubber are all detailed in this smart picture book. 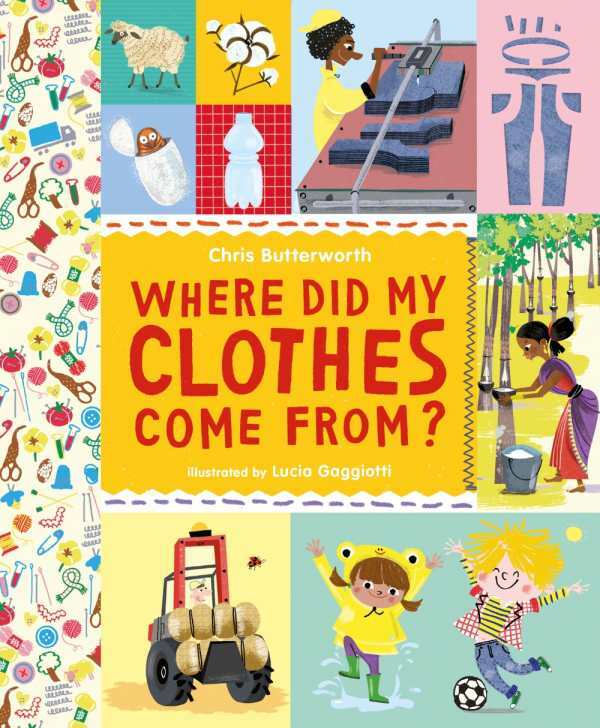 Might sound overwhelming, but Butterworth and Gaggiotti make the science behind clothing materials accessible to youngsters who think that clothes just come from “the store.” Cool, retro illustrations will bring joy to the faces of those becoming more knowledgeable about the world. Ages five and up.